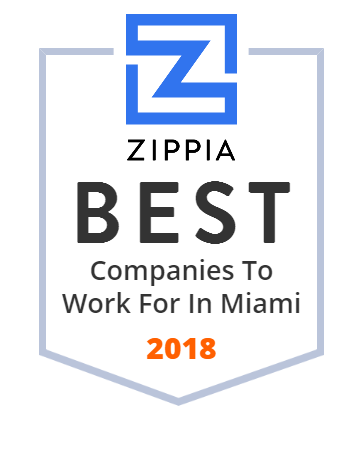 We hand-curated a list of the best companies to work for headquartered in and around Miami, FL using data on salaries, company financial health, and employee diversity. HI G. Capital is a leading global private equity investment firm. The HI G. family of funds includes private equity, growth equity, real estate, debt/credit, lending and biohealth. Its Private Equity funds focus on leveraged buyouts, equity, debt and other investments in small and mid-sized companies. Since its founding in 1993, the company has grown to a team of over 350 investment professionals. HI G Capital has offices in Miami, New York, Boston, Chicago, Dallas, Los Angeles, San Francisco and Atlanta in the US , and affiliate offices worldwide. SoEnergy International is an independent power and renewable electricity producer based in Miami, Florida. The majority of their infrastructure is in Latin America, but they are rapidly expanding internationally. 1st Merchant Funding, launched in 2007, is a North Miami-based specialty finance technology company that provides merchant cash advance products to small and medium-sized businesses. By combining its experienced team and innovative technology, the company evaluates the actual performance of small businesses not considering the business owner's personal credit score as the main criterion. Its sales networks consist of over 2,600 independent sales agents that provide great customer service to thousands of businesses. Associated Capital Group, Inc. provides investment advisory services in the United States. The company is involved in alternative investment management business. It also offers institutional research services, as well as operates as an underwriter. Associated Capital Group, Inc. was founded in 2015 and is headquartered in Rye, New York.